A unique space cannon developed for Japan’s Hayabusa 2 spacecraft has successfully test-fired on Earth in preparation for a 2014 mission. During its upcoming journey into space, the cannon will blast an asteroid and mine samples of its soil. The test took place in the Japanese prefecture of Gifu, paving the way for the Hayabusa 2 spacecraft to extract soil samples from the asteroid, the Japan Aerospace Exploration Agency (JAXA) announced on Monday. 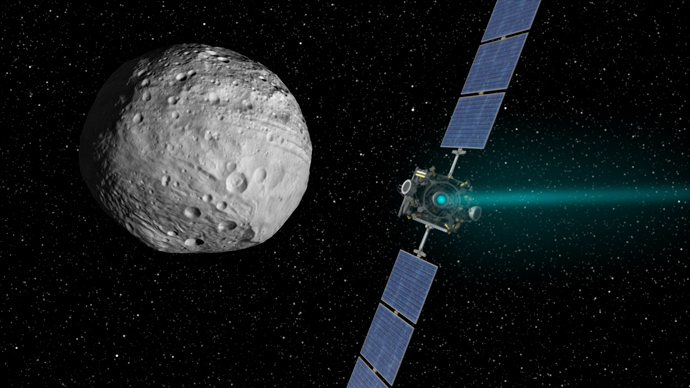 During the mission of Hayabusa 2, scheduled to begin in December 2014, the space probe will extract soil from inside the asteroid. 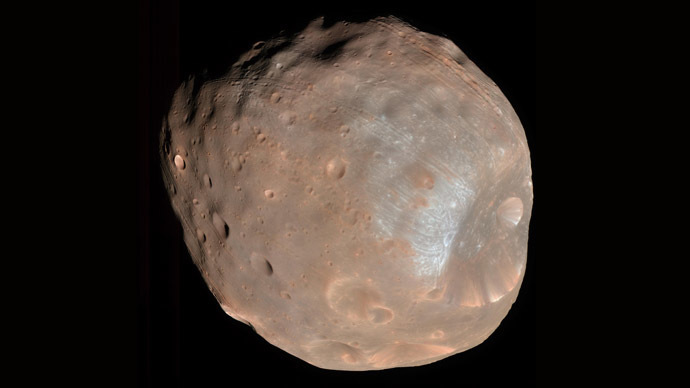 In order to do this, it will be equipped with a collision device designed to shoot at the surface of the asteroid from a distance of 100 meters with metal shell ammunition moving at a speed of two kilometers per second. JAXA hopes to create a small (a few meters in diameter), artificial crater from which Japanese scientists can extract valuable samples capable of revealing the history of the formation of cosmic bodies of this type. In order to calibrate the precision of the cannon, JAXA engineers had to overcome a number of challenges. However, the agency assures that all problems have already been solved. “We were able to solve several problems associated with the development of the device. During the tests, the projectile hit right on target, and with the expected speed,” JAXA engineer Takanao Saiki said. 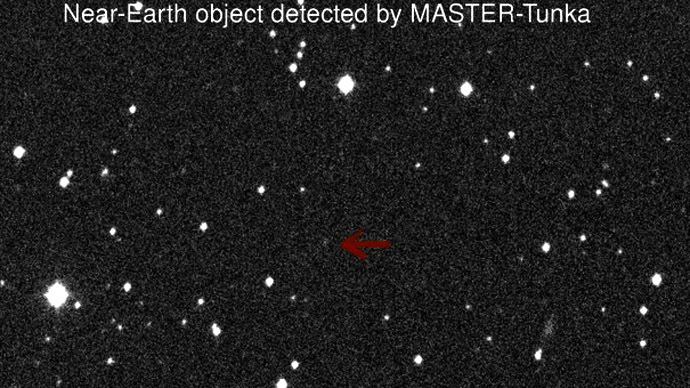 Japanese scientists actively began exploring asteroids with the Hayabusa mission, which returned to earth in June 2010 after exploring a 500-meter-long rock-rich S-type Itokawa asteroid. 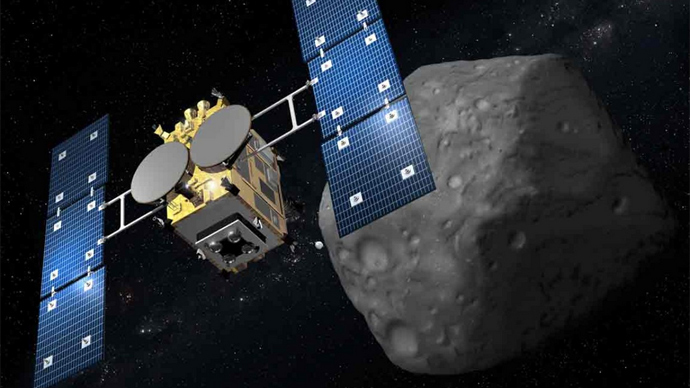 Hayabusa 2 is a successor of the first spacecraft and is scheduled to be launched in 2014 to conduct research of a C-type asteroid temporally called ‘1999 JU3.’ It is believed to contain a higher concentration of organic matters and water. 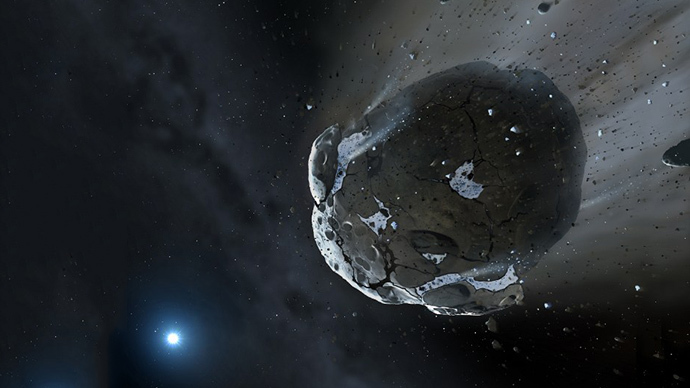 “Minerals and seawater which form the Earth as well as materials for life are believed to be strongly connected in the primitive solar nebula in the early solar system, thus we expect to clarify the origin of life by analyzing samples acquired from a primordial celestial body such as a C-type asteroid to study organic matter and water in the solar system and how they coexist while affecting each other,” JAXA posted on its website. So far, research into ‘1999 JU3’ revealed that it is a sphere approximately 920 meters in diameter with an albedo on the surface of about 0.06. The rotation period of the celestial object is approximately 7.6 hours. Hayabusa 2 is expected to reach its target in the middle of 2018 before departing back to Earth in 2019.